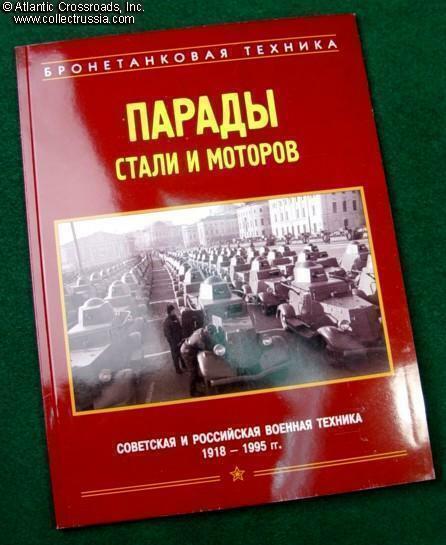 "Parades of Steel and Motors". 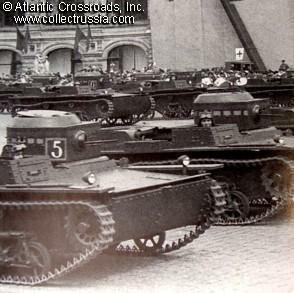 "Parades of Steel and Motors". M Baryatinskiy. 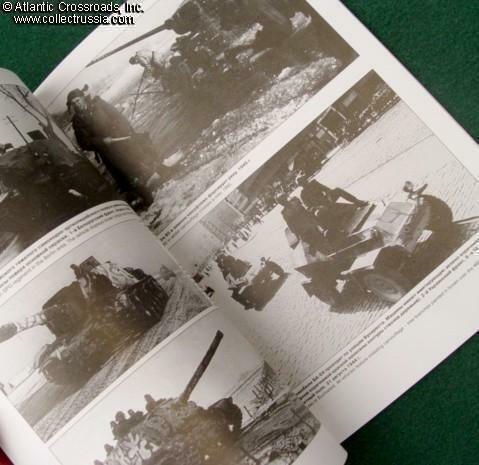 Subtitled "Soviet and Combat Equipment, 1918 - 1995". 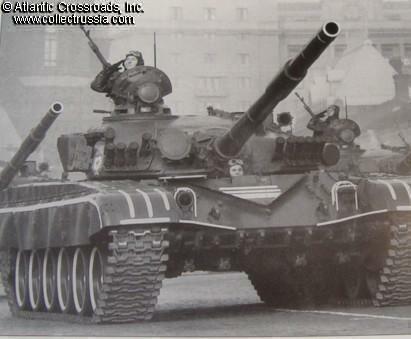 C. 2003, Moscow. Laminated soft cover, 96 pp, over 200 photos. Russian and English photo captions, with introduction in Russian. About 8.5" x 11". 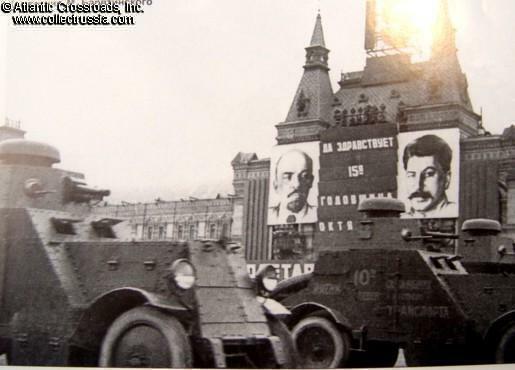 This photo book shows not only tanks but also self-propelled artillery, personnel carriers and mobile rocket launchers during the Red Army parades on the Red Square. 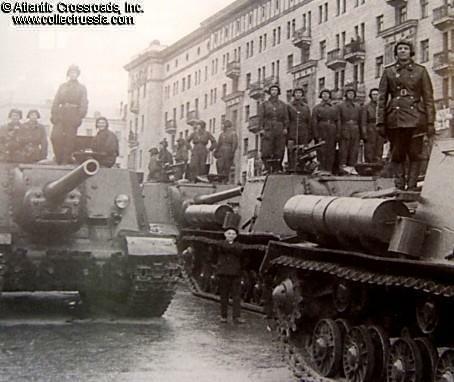 Many photos are of WW2 parades in Moscow and other cities: from November 1941 show of defiance during the German siege of Moscow through the famous Victory Parade in June 1945. All photos are of excellent clarity.